When my daughter was oh so young, her great-grandmother gave her a teddy bear as a gift. Aesthetically there is nothing special about the stuffed little creature. It's as generic as it comes. Over the years I have lost count of how many cuddly plush dolls we have purchased for her, as we literally have bins full of them in our home. The bear never goes in the bin because the bear never leaves her side. The bear goes everywhere with us. The bear sees movies in her arms. The bear gets to tour the zoo. The bear goes to the library to check out books. The bear literally went to every single day of Kindergarten, staying in her backpack throughout her time in the classroom. He was there when the bell rang though, waiting to go home in her arms once again. After my beautiful little girl saw Toy Story 3 for the first time, she named the bear Lotso. Her great-grandmother has since passed away. Lotso remains. It's adorable to see the bond she has created with a simple toy and when I see them together I can't help but smile, but with it I sometimes take a trip into the future. I picture the days, months and years going by and my daughter changing and growing with each passing minute. She will see movies. She will go to the zoo. The she will go to the library to check out books. She will go to school. We will do our best to never throw him away, as he means too much and carries with him too many memories. He has absorbed so many of her smiles. He has been the recipient of so many tears. He has been there to keep her safe when the room gets dark and the shadows seem scary. Realistically though, he will sit somewhere in this home untouched. He will collect dust. What memories she has of his companionship will either become vague and unfamiliar or completely fade away. As we were seeing Inside Out on Saturday, I looked over and saw her eyes glued to the screen. She was lost in a world of cinema, a feeling I know all too well. Her arms were wrapped around Lotso. He was lost in the film too. A few tears fell from my eyes. It wouldn't be the last time. 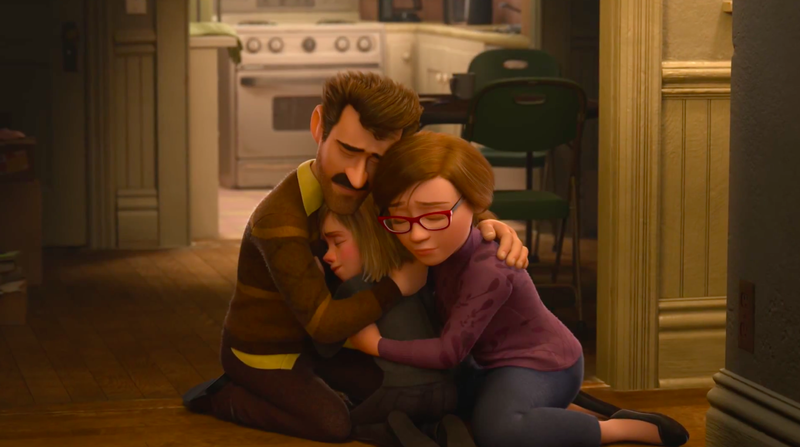 Inside Out is an absolute masterpiece. 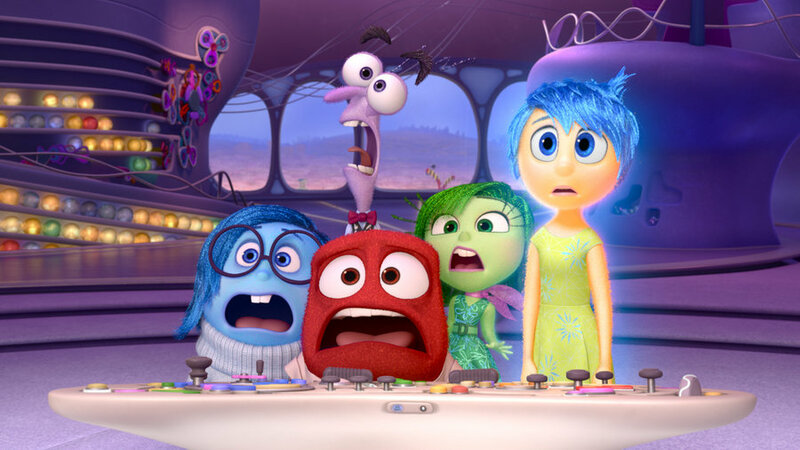 It isn't merely a return to form for Pixar Animation, it's a work of genius. The concept is brilliant and perfectly realized. The casting and subsequent vocal performances are equally sublime. The screenplay is Oscar worthy, balancing a delicious blend of comedy, profound emotional complexity and a handle of human psychology that few films have ever demonstrated before. What I found most impressive of all is that despite this being seemingly a movie designed for children, it not only demonstrates extreme intelligence but it does so in a way that never spoon feeds the meaning to the audience. Pete Docter could have easily tried to lower the bar with some of the content to make it comprehensible to children, but why do so? He is smart enough to know that whether the kids understand all the thematic depth and richness of the experience is irrelevant. The seats will be filled with the young regardless, as they will beg their parents to take them based on the advertising campaign and the vibrant colors and the funny voices. The key is those parents that may have felt like they were being dragged to the cinema for some typical low brow fart joke kiddie fair and instead they are actually forced to pay close attention just to keep up. Much like my daughter, every kid who sees Inside Out will say how much they loved it at the end. That part isn't a surprise, it is to be expected. What will shock people is just how deeply moving and fascinating the experience is regardless of your age. Whether 5 or 75 I would advise everyone to go see Inside Out. You don't need a child by your side to justify buying a ticket at the box office. It would be a disservice to any lovers of the medium to avoid the film for such a silly reason. Move over Fury Road. It's the best film of 2015 thus far and one of the finest animated efforts I have ever laid eyes on. It just might be the crown jewel from Pixar, which is saying a whole hell of a lot. The story of Riley and the little emotions living inside her is one to cherish, one to behold. I'm going to take my little girl to see it again, without a doubt. I'm already looking forward to it. I will make sure she brings Lotso and she holds him tight throughout. Someday he will collect dust, but not today. Today he will revel in the smiles. He will soak up the tears. He will make her feel safe. "She's so big now. She won't fit in my rocket. How're we gonna get to the moon?" 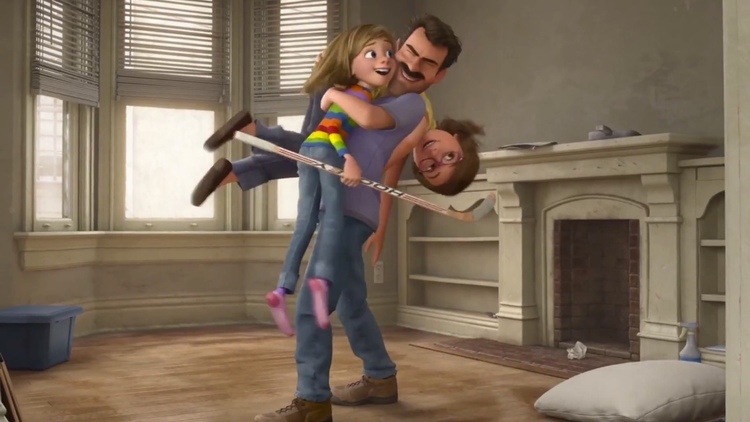 Inside Out is a stunning, glorious film. I can't stop thinking about it. I can't stop smiling. Thanks Trae, appreciate you reading and the kind words. Going to check out your review now! Thanks for the thought and the kind words! Appreciate it! you know betancourth16, I don't even judge Pixar for the Cars films. At the end of the day they are a business and a big one at that, and Cars is a HUGE financial windfall for them not only at the box office but in the toy department. I should know, I spent plenty of money down that aisle. I agree completely though that the string of Cars 2, Brave and Monsters University made it feel like they lost their charm. I liked Brave but it certainly wasn't a return to their glory and Monsters University was amusing but completely lacked the magic of the original. 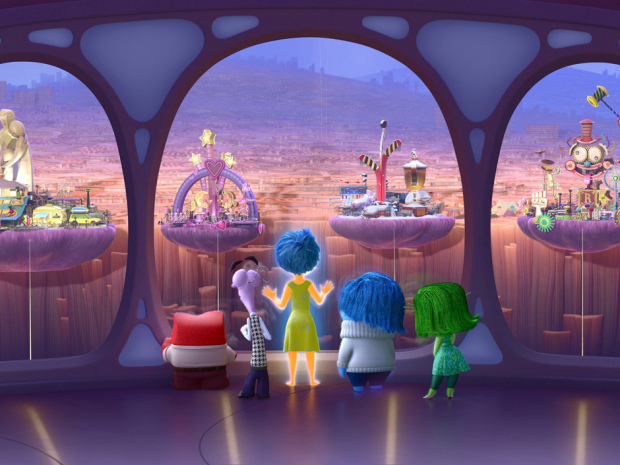 Like you said, the world building in Inside Out, my goodness. Just such an excellent film, one that you really have to look closely at to appreciate the brilliant nuance that went into it. I, too, believe this should and hopefully will get the Best Picture nomination. Thanks for the thoughts, glad you loved it so much!